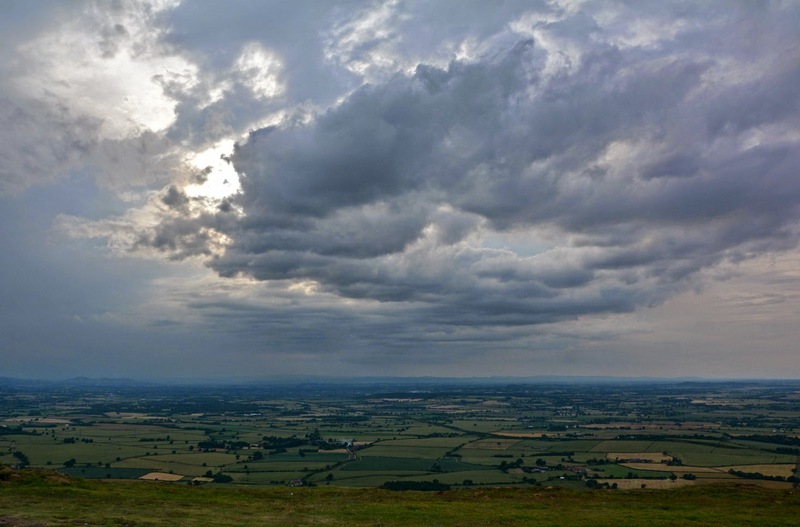 It was day 3 of a camping and hill walking trip, so far I had visited Raw Head in Cheshire and on the previous day climbed Moel Famau, it was now time to pack up camp and head for home but not before getting in a few high points on my way home. 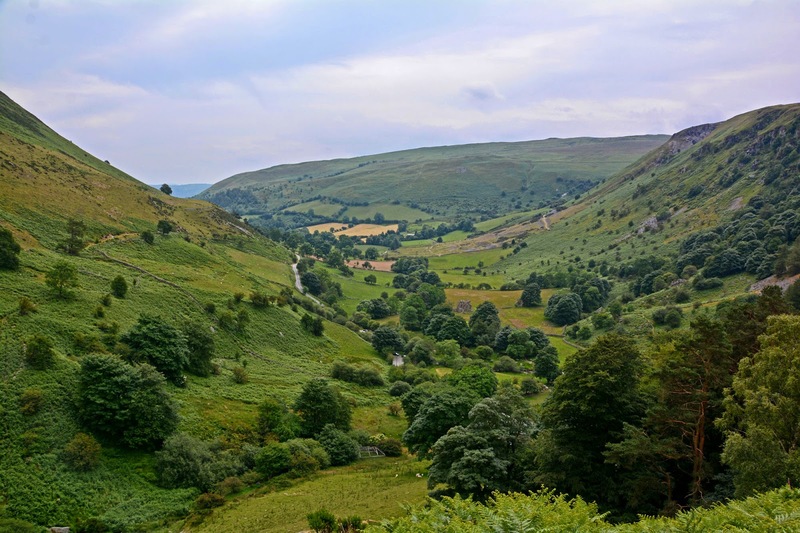 I left the campsite and headed south through the towns of Ruthin, Corwen and eventually through some small villages and along some long small roads to a tiny place called Tan-Y-Pistyll. This little village (if you can call it that) consisted of a restaurant, a B&B, a campsite and a few other buildings but it was where I parked my car ready for the days first highpoints, I got my backpack ready and first headed off to see a something pretty spectacular, the Pistyll Rhaeadr waterfall. I have seen a few waterfalls in Wales recently but this one was huge, it was really tall at 240 ft and looked amazingly spectacular. 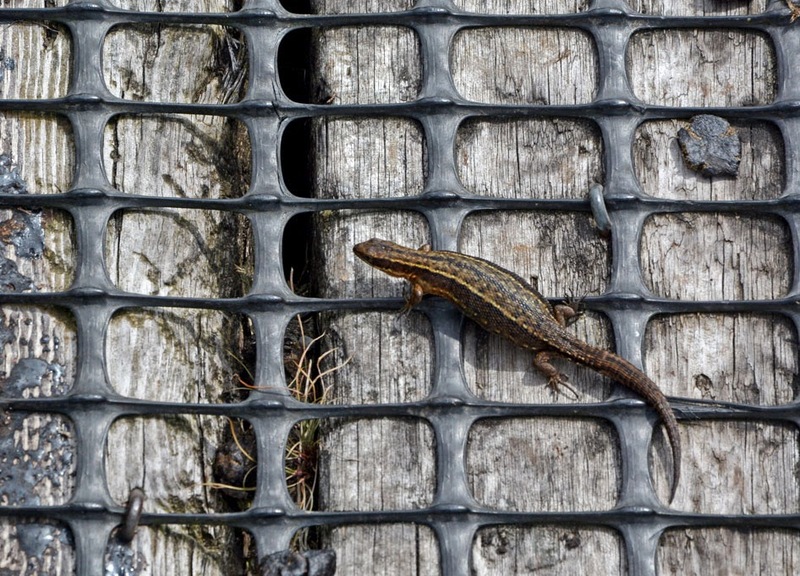 I soon moved on to start climbing up the first of 2 mountains I would visit today, it took me a while to find the right path but eventually I was on the right route and climbing up the zigzag path onto the open moorland. Soon I was out onto open land and as always amongst the sheep with a splattering of ferns here and there. At this point I passed the top of the waterfall but as I couldn't really see anything It was much lest impressive as the view from the bottom. The Pathway straightened out now and steadily climbed passing through a fence and up over a small hill, from here I got my first glimpse of the mountain I was aiming for, Slowly I made my way up the final climb to the top of Moel Sych, the highest point of the historic county of Denbighshire. I stayed here for a while but the wind was so strong, I tried to shelter behind a pile of stones while I had a cup of tea but soon decided to move on to the next highpoint just a short walk away. I was lucky with these 3 highpoints because they were all fairly close to each other and they were all situated along the top of a ridge of mountains so the walk to high point number 2 was a simple case of walking down and then back up again to the top of Cadair Berwyn the current highpoint of the modern county of Denbighshire. 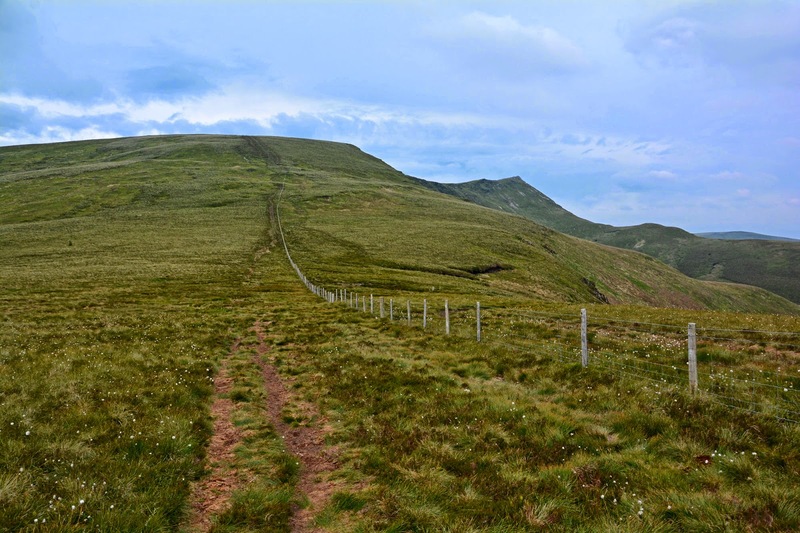 Cadair Berwyn has actually always been the highest point of Denbighshire however it was only recently found to be 3 metres higher than Moel Sych. 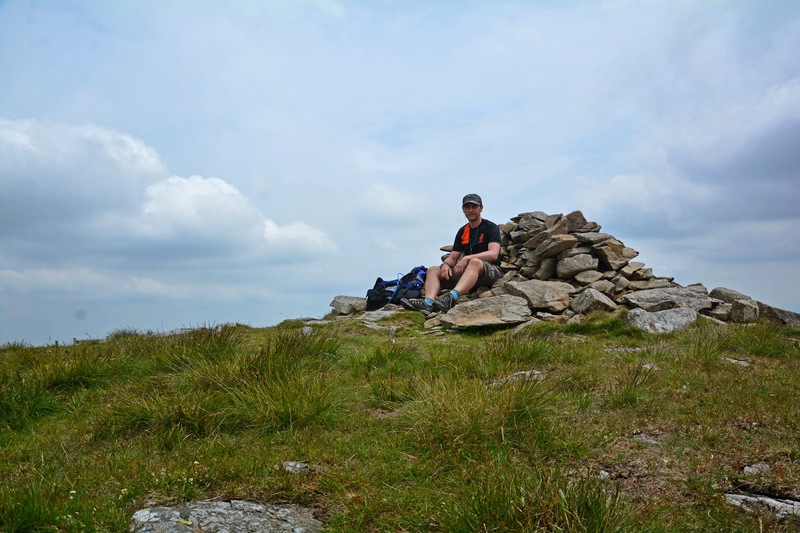 I had another very quick cup of tea from my flask and headed off to find my next highpoint, I passed a ruined circular structure which I had to have a look around and then I carried on to Craig Berwyn, at 790 meters is the highest point of Wrexham. Craig Berwyn was a bit of a difficult one as the actual high point does not lie on a visible high point, it actually sits a short distance down the slope of the mountain, this is because the border runs right across the mountain. From Craig Berwyn I could see to the north another peak, I took a quick look at my watch and was mildly impressed with how quickly I was reaching these summits, it was just after 1pm and I didn't arrive at the carpark until after 11 so it had only been 2 hours, I thought it would be a shame to come this far and not climb it to the top of this next peak. I carried on once more and after following some cool little wooden pathways I was standing on Cadair Bronwen which was 785 meters above sea level. I stopped here for another quick cup of tea and took another look at my watch, it was just after 1pm . . . . . . . still, yes it suddenly dawned on my, my watch had stopped, it was not 1pm at all but more like 4pm and I had a long way to walk and drive home. 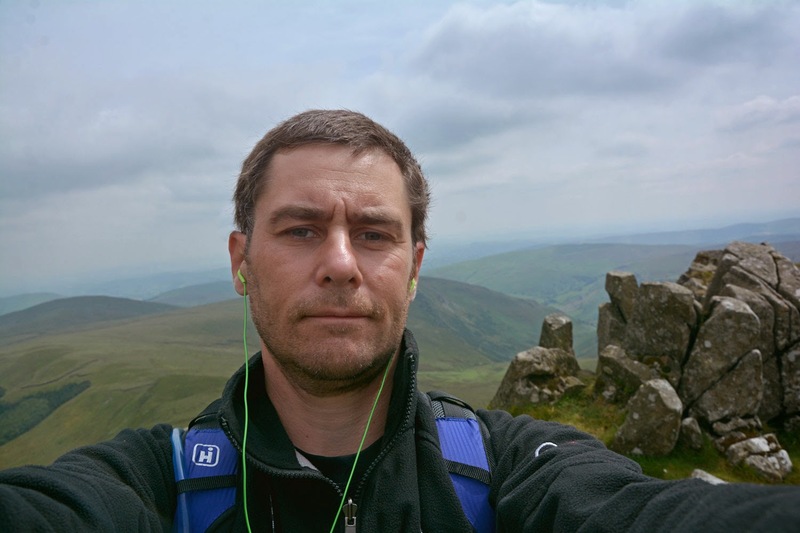 I decided to head off as fast as I could and passed the summits of Craig Berwyn, Cadair Berwyn and Moel Sych, it was now down hill all the way. 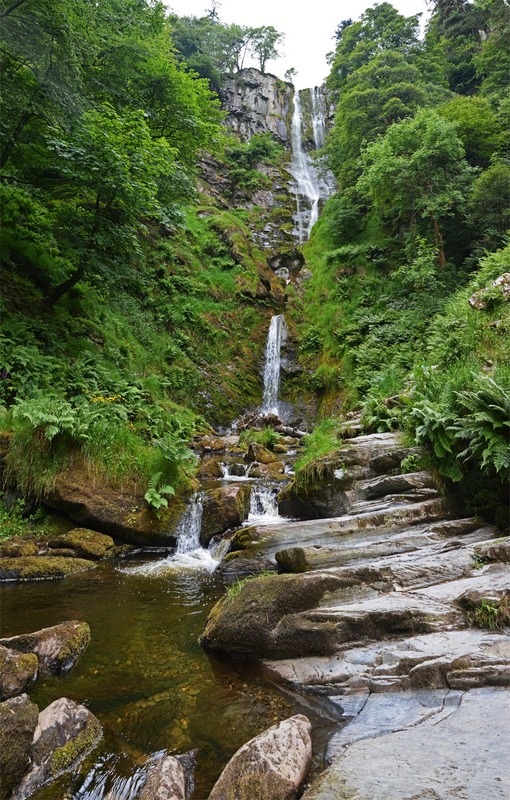 my pace was fast and I was soon in sight of the top of the waterfall, passing that I took the zigzag path all the way down to the car park and back to my car where I finished up my cup of tea and headed off home. My drive home took me along a few country roads and then eventually I passed the town of Shrewsbury where I started seeing signs for Telford. 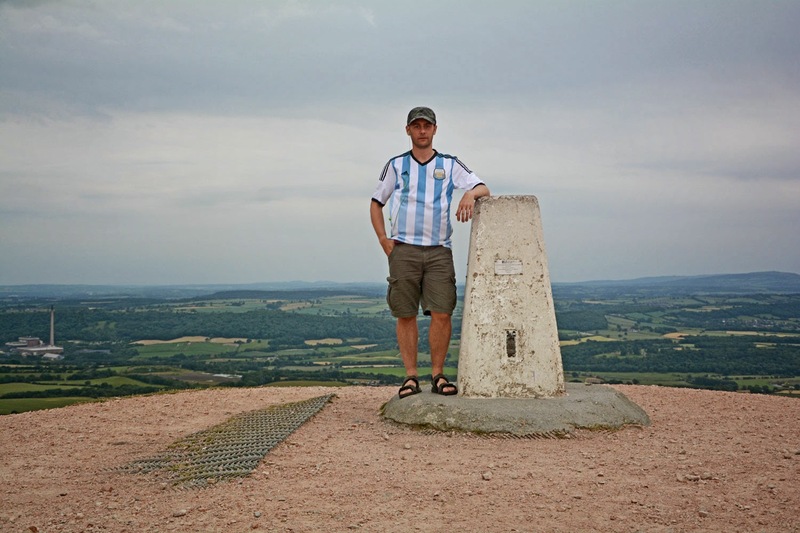 I remembered that there was a highpoint not too far from Telford so I stopped off and did a little research to find that I would be passing the high point very closely, I decided to stop off and visit it. I arrived at a car park at the base of the Wrekkin and found it to be packed with cars and people, I found a space and headed up the hill through the forests. It was not a long walk but due to the fact tha tI had already climbed several mountains today I wanted to take it slowly so I reached the top in about 30-40 mins. I passed so many people on the way to the top, I think this was my busiest high point yet, there were runners, bikers, walkers, dogs, families and couples everywhere. The views from the top were awesome, to the east I could see a power station and the flat countryside spread out below me, to the west I could see the mountains in the distance, to the south were more hills and to the north was the town of Telford. I stayed here for quite a long time, probably about half an hour and soon it was time to head back down to the car. I reached the car and made my way home, it had been a wonderful few days of hill walking and I was tired but very happy.